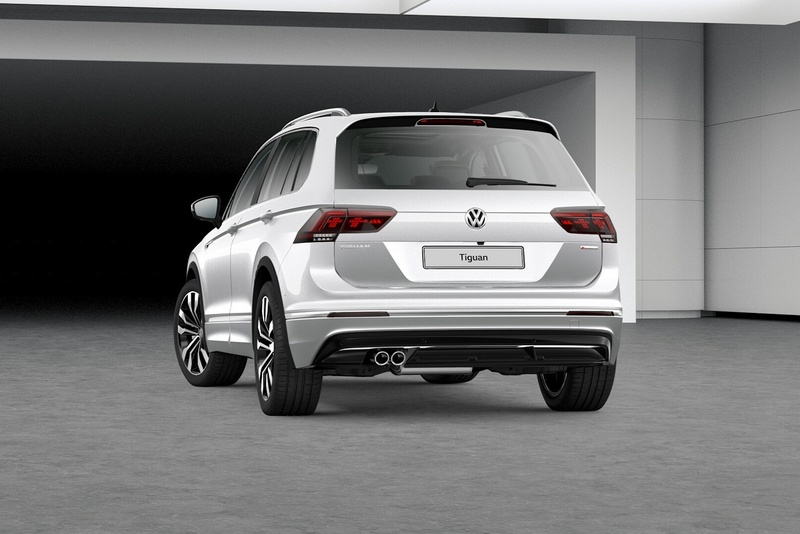 Volkswagen's much improved second generation Tiguan targets both volume and premium brand customers for mid-sized SUVs with a high quality, well priced package that's smart and efficient. All the car you'll ever really need? Many see it as just that. If you're planning to spend somewhere in the £23,000-£36,000 bracket on a compact SUV or SUV-like Crossover, you'll certainly not be short of choice. But choice can sometimes be a compromising thing - and so it is here. So for the premium badge you'd like on a car of this kind, you have to compromise on equipment. For the practicality you'll need, you have to compromise on trim and build quality. And for the all-wheel drive ability you'll maybe sometimes want, you've to compromise on tarmac driving pleasure. Volkswagen understands this, which is why in 2008, they brought us this car, the Tiguan, a contender in this class that's arguably less compromised than any other. Especially in the rejuvenated second generation guise we're looking at here. 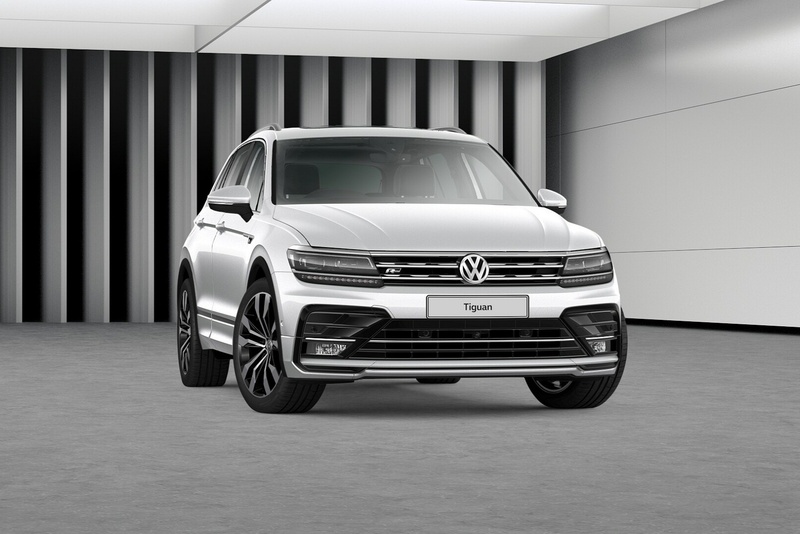 The Tiguan model line has historically been hugely successful for Volkswagen, having accounted for nearly 2.6 million global sales by the time this MK2 version arrived. And the reasons aren't hard to fathom. Here, you've all the class of a Honda CR-V or a Toyota RAV4 at a significant saving in cost, pricing being not too much more than Far Eastern budget brand models in this segment. Let's see how this car stacks up. At the foot of the Tiguan engine range is a 130PS 1.5-litre TSI EVO unit, or you can have a frugal yet also more powerful 150PS version of this engine; either way, you get 'Cylinder-on-Demand' technology. Both these variants only use 2WD. If you want Volkswagen's 4MOTION 4WD system in your petrol-powered Tiguan, you'll have to opt for a 2.0-litre TSI petrol variant, available in 190 and 230PS forms and offered only with 7-speed DSG transmission. Most buyers of this car though, will probably want a diesel. There's a 115PS entry-level 2.0 TDI 2WD derivative but many likely customers will want this car fitted with the 2.0 TDI 150PS unit, which can be ordered with with front wheel drive or 4MOTION 4WD - and has a DSG auto option. If you go for the pokier 190PS 2.0 TDI powerplant, you have to have 4MOTION and the DSG auto. That's also the case with the flagship bi-turbo BiTDI flagshp variant which puts out a potent 240PS. The fifth-generation four-wheel-drive 4MOTION system provides a faster apportioning of power to all four wheels via a process that provides pre-activation of the rear clutch and improved operation of the electronic differentials. 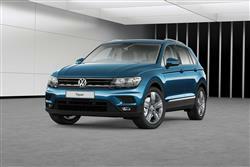 In recent times, nearly three-quarters of Tiguan buyers in the UK have shown a preference for AWD. In 4x4 form, the car has 200mm of ground clearance, 11mm more than it would have in 2WD guise. There is also an optional Off-Road package, which features a uniquely styled front bumper providing an approach angle of 25.6deg and a departure angle of 24.7deg. 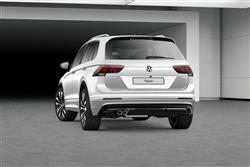 The conventional Tiguan has put on 60mm in length and 30mm in width in second generation form and sits 22mm lower than its predecessor. 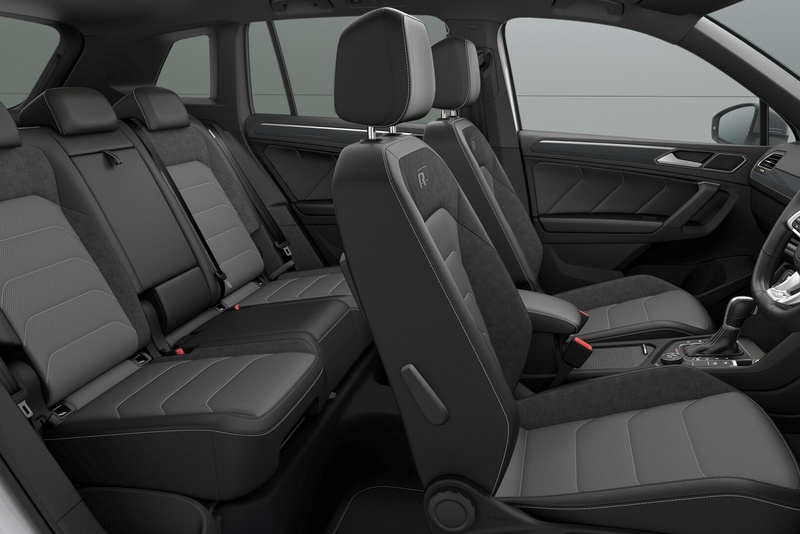 Wolfsburg has developed a lengthened seven-seat Allspace version this time around. It's the conventional five-door model we're concentrating on here, a car which sits on the advanced, stiff, light MQB platform that underpins the current Golf and Passat models. It's certainly a confident-looking car - and quite a spacious one too. Inside, there's a long 77mm wheelbase, at 2681mm, and the tracks have also been widened, which greatly improves the Tiguan's overall stance. 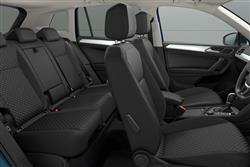 If you need seven seats, there's a lengthier 'Allspace' version too. The cabin's classy too, fit and finish being of a noticeably high standard. Much of the switchgear and the infotainment monitor will be familiar to anyone who has tried a MK7 Golf. Borrowed from the Passat is the optional Active Info Display high-definition instrument panel. You can also specify a Head-up display that uses a small glass panel, deployed from behind the instrument binnacle at the press of button. Luggage space is rated at 615-litres with the standard 60/40 split folding rear seats in place, or 1655-litres with the seats lowered. 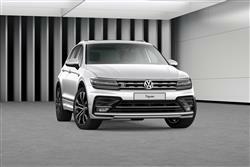 Expect pricing to sit in the £23,500 to £40,000 bracket, and most buyers will focus on the 150PS version of Volkswagen's familiar 2.0-litre TDI diesel engine, priced from around £26,000. If you want 4MOTION 4WD with this variant, then an extra £1,600 will secure it and there's also the £1,600 option of DSG automatic transmission. As for trim levels, there's a choice of 'S', 'Match', 'SEL' and 'R-Line Tech' options. All models come with alloy wheels, 'Climatic' semi-automatic air conditioning, a trip computer, all-round electric windows, an alarm, power heated door mirrors and a 'Composition Media' infotainment system. Safety kit includes a clever 'Automatic Post-Collision Braking System' that automatically brakes the car down to 6mph after a collision - so if, say, someone hits you and, understandably, you go to pieces, the car will automatically sort itself out. There's also a 'Front Assist' system that at speed, scans the road ahead as you drive for potential accident hazards, warning you if one is detected and automatically braking if necessary. You get that same kind of functionality at urban speeds too, as part of a 'City Emergency Braking' system included as part of the 'Front Assist' package. Let's look at the WLTP-rated figures. Expect the 2.0 TDI 150PS 2WD variant many will want to deliver 47.1-49.6mpg on the combined cycle and 125g/km of CO2. Go for the 1.5-litre TSI 130PS petrol option and the figures are 39.8-42.2mpg and 128-130g/km. Later on, the economy champion will be the GTE Plug-in hybrid petrol/electric version you can ask your dealer about. Overall, though the upfront sticker price isn't cheap, whichever variant you choose, you'll probably be better off choosing this Volkswagen than a cheaper South Korean alternative when you factor in depreciation and whole life costs. And warranties? Well the standard package is three years and 60,000 miles. If you plan to see a bit more of the world in your Tiguan, there's a five year / 90,000 mile package. Whatever your decision, your car will come with three years of pan-European Roadside Assistance that has no mileage restriction. The paintwork warranty lasts for three years and, as you'd expect, this car is protected by a 12-year anti-corrosion package. If you�re looking for a new Volkswagen Tiguan 2.0 TDi 150 Match 5dr Diesel Estate for sale, you�ve come to the right place. 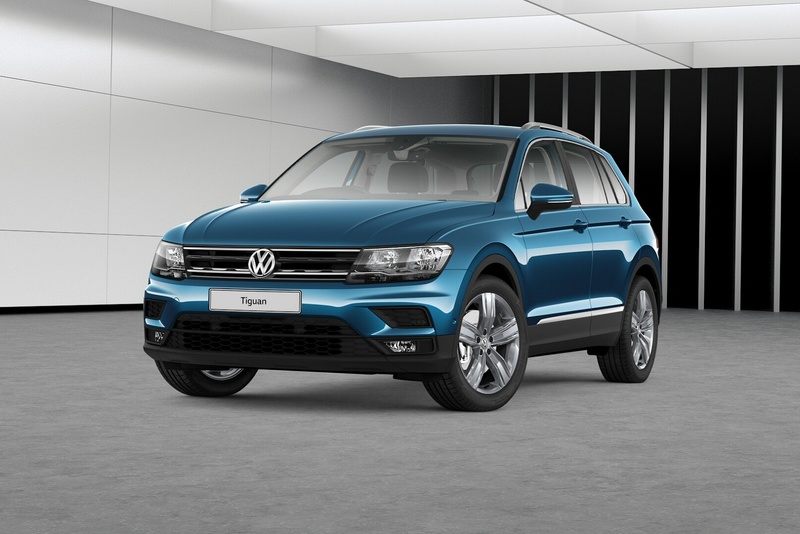 At Bristol Street Motors we don�t just have the best Volkswagen Tiguan 2.0 TDi 150 Match 5dr Diesel Estate deals, we also offer friendly advice and help with all your enquiries to ensure your buying experience is a happy experience.